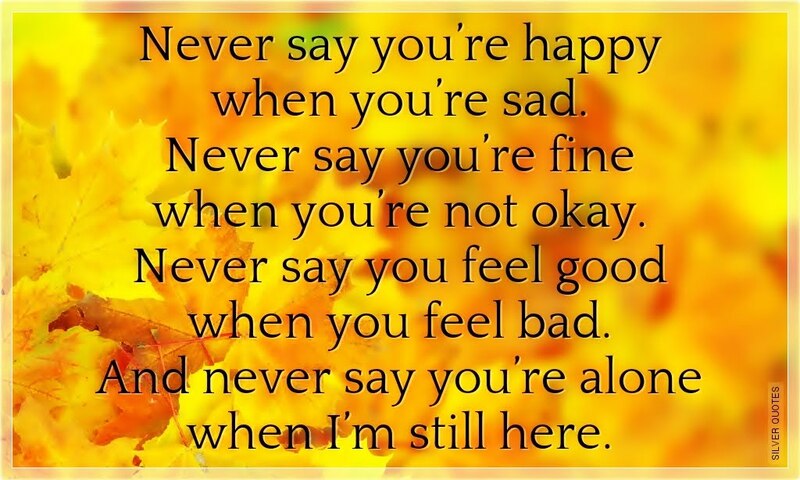 Never say you’re happy when you’re sad. Never say you’re fine when you’re not okay. Never say you feel good when you feel bad. And never say you’re alone when I’m still here.